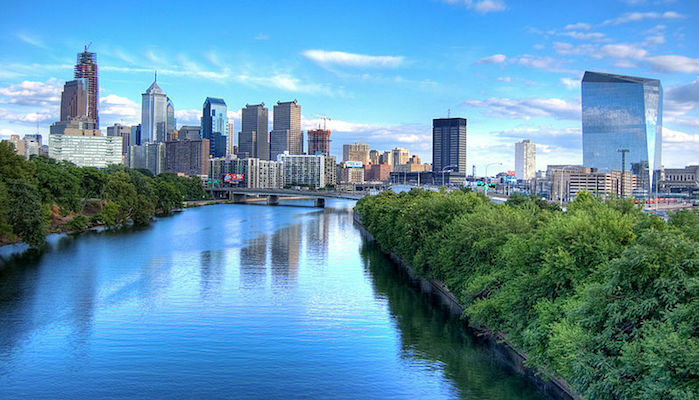 Philadelphia is a great city for running, with historic sightseeing, riverfront paths, and of course the iconic locations from the movie “Rocky.” But if you find yourself visiting this area of Pennsylvania — for work or for play — you may end up significantly outside the downtown area. Fear not! With this handy guide to running routes in the counties surrounding Philadelphia, you can find plenty of great running in the Philadelphia suburbs. To simplify, we’ve organized these runs by county. Montgomery County, which borders Philly to the north, has some great bike paths, plus the nature trail at Haverford College and beautiful historic running at Valley Forge. Delaware County borders Philadelphia to the south, and is home to the scenic Heinz Wildlife Refuge and the friendly streets of Media. You can also find miles of great trail running across the county. 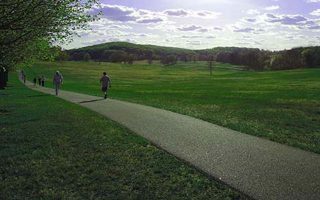 Chester County, to the west of Philadelphia, has great running on the Chester Valley Trail, plus some parks and preserves. 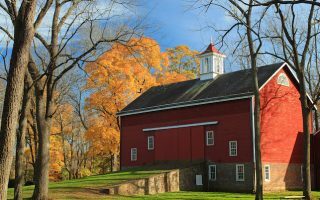 Bucks County, a northeastern border county, has a long towpath along the Delaware Canal, an iconic run around Peace Valley Reservoir, and more running on the various scenic trails of Tyler State Park. Special thanks to The Running Place in Newtown Square and Bryn Mawr Running Company for their helpful route suggestions! For our Philadelphia city runs, click the link below. 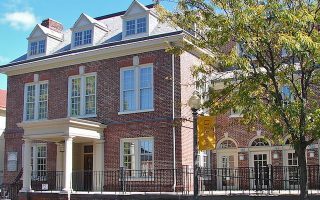 Known to locals as “Montco,” this wealthy, family-friendly community borders Philadelphia to the north. Highlights include bike paths, Valley Forge, and the Haverford College Nature Trail. Delco, the small county to the south of Philadelphia, sits along the Delaware River. Highlights include the John Heinz National Wildlife Refuge, Ridley Creek Park, and the course of the Media 5 Mile Race. There is also loads of trail running here. Chester County, one of the original three Pennsylvania counties, is a tony area west of Philadelphia and Delaware counties. This historic spot is marked by rail trails, beautiful parks, and high-end residential neighborhoods. This northeastern border to Philadelphia is another of Pennsylvania’s original counties. 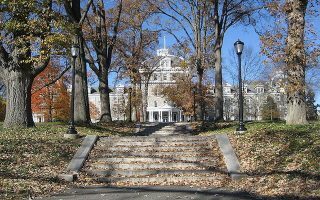 Includes running along the Delaware Canal Towpath, around Lake Galena, and scenic Tyler State Park. Special thanks to The Running Place in Newtown Square for their helpful route suggestions! Check them out for Monday Night Group Runs, which meet for 3 mile and 5 mile options at 6:30 pm. Bryn Mawr Running Company also helped us out with several routes. They have two locations in Bryn Mawr and Media. They host group runs in Bryn Mawr on Wednesdays at 6 pm, and in Media on Thursdays at 6 pm. Other local stores include Jenkintown Running Company, the Philadelphia Running chain, and several other stores and groups in the city. See the Philadelphia Overview map for details on store locations.